Some viewers seem to think my illustration is a Chasid. It’s not; it’s supposed to be an Orthodox-ish Jew. Orthodox Jews apparently don’t have to join the Israeli army (WTH not?!) so this depiction further bothers some people. Orthodox Jews, they point out, are not Zionists. Zionism (Hebrew: ציונות‎, Tsiyonut) is a form of nationalism of Jews and Jewish culture that supports a Jewish nation state in territory defined as the Land of Israel. Zionism supports Jews upholding their Jewish identity and opposes the assimilation of Jews into other societies and has advocated the return of Jews to Israel as a means for Jews to be liberated from anti-Semitic discrimination, exclusion, and persecution that has occurred in other societies. Since the establishment of the State of Israel, the Zionist movement continues primarily to advocate on behalf of the Jewish stateand address threats to its continued existence and security. I labelled my Orthodox-ish Jew “Zionist” to distinguish him from Jews who aren’t Zionist – like me. When I was growing up, well-meaning relatives and acquaintances would keep asking me when I was going to Israel. “Why should I go to Israel?” I’d ask. Stricken, they would explain how important Israel should be to me. “Everyone needs a homeland!” they’d insist. But I already had a honemland – Urbana, IL. I felt no need for another one, and was troubled that I should create in myself such a need where one didn’t exist. I had enough insecurities already. Many people use “Jew” and “Zionist” interchangeably, but they’re not the same thing. I am a Jew because I’m descended from a long line of Jews, and because even as atheists my family retained some Jewish cultural quirks. But I am not a Zionist. I don’t need a “homeland” in Israel, and I don’t care if my “Jewish identity” is upheld and assimilation resisted; in fact assimilation is part of my “Jewish identity,” something I’m proud of (as much as I can be legitimately proud of anything other people did before I was born). I realize as I write this that I represent the religious conservative’s worst nightmare. Like most religions, Judaism requires indoctrination at an early age; Orthodox and Chasids encourage breeding as many offspring as possible, to enlarge the tribe. Assimilation is anathema to religious Jews, because it leads to people like me. I’m supposed to be supporting the Tribe, and instead I’d rather make graven images and spout individualism. I’ve even refused to breed altogether, let alone indoctrinate any spawn. 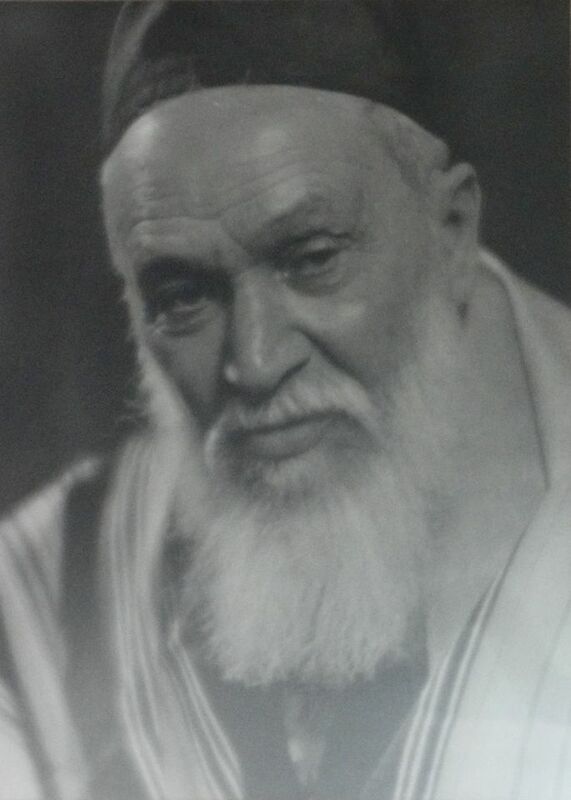 I hope my Great-Zaydie Zalman wouldn't be too disappointed in me. Anyway, my Orthodox-ish Jew character, if he’s in Israel, is what I’d call a Zionist, although most Israelis would not. That said, I could have left the confusing Zionist label off of him, because he obviously was in Israel in my cartoon. The “European” part of the label refers to the pressure a vast influx of Jewish refugees from Europe put on Palestine. Yes, there were Zionists there already, living peacefully alongside Arabs and others in the region. And yes, the State of Israel welcomes (or is supposed to welcome) all Jews, not just European ones. But the post-war influx of European Jews really changed things in the region. Would the State of Israel have been established had that not occurred? Would the US have backed it otherwise? With the rise of the Zionist movement in the early 20th century, the wall became a source of friction between the Jewish community and the Muslim religious leadership, who were worried that the wall was being used to further Jewish nationalistic claims to the Temple Mount and Jerusalem. 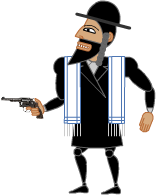 I chose the more Orthodox garb because to me it more than anything said, “religion.” But critics do have a point when they say the Orthodox Jews in Israel get others to do their shooting for them. There are Jews who are not Zionists. There are Zionists who are not Jews. Most Jews are not Israelis; most Israelis are Jews. Many Jews are not religious; many Israelis are not religious. There are deeply religious people who aren’t violent. There are violent people who aren’t deeply religious. Funny – although no family members asked me when I was going to visit Israel, plenty of Jewish folks I’ve met (both young and old) seemed to think it necessary. I always told them I had no special attachment to Israel, it was just as bad in many respects as any other country I knew of. This was not pleasing to them. Since I also went to Brandeis University (only for 1 year), which is a Jewish Affiliated/Non-Sectarian university, I was surrounded by people who had been to Israel, and I got the same look of bafflement from them when I told them I wasn’t interested in visiting Israel. You wrote this beautifully. If I could express myself through language and art like you, it would be nice, but what you wrote about individualism and homeland and so on might as well have been written on my behalf. Like you, I certainly do not deny my heritage, but it doesn’t mean I have to be religious to appreciate it. Urbana, IL still seems like home. Gotta get back there sometime soon. I love reading about your relationship to your birth-religion. Although I am not Jewish, I feel like I can relate to much of that attitude that you express. When attending Catholic Religion Class in the 1970s, the church was attempting to expand its market share and relate to the hippie generation. All of the books were about “Love” and “Peace” followed by a discussion of why doing what the church tells you is the best way to get love and peace. That was the awkward religious experience that I grew up with. Nowadays I’m horrified when I return to Buffalo and I attend church with my mother and I see that the church now is openly hostile to “Love” and “Peace”. I saw a bulletin board in the church itself with lot’s of “Go Army” slogans, and pictures of young men dressed in cool-looking army uniforms. I seemed to understand at a very young age that religion was closely intermingled with “power”. This made it easy for me to look other places to answer my very real questions about “who am I”, and “why do I exist”. This kind of visual / conceptual shorthand does not do justice to the subject matter, but it does play to the jew=religious=zionist stereotype so often used by jew haters / antisemites of various stripe ( mostly euro and US I must say, since the mostly ME. muslims don’t see Israelis as religious, rather as atheistical/apostate/anathema to muslimeen). I suppose Romans, Macedonians, Mamelukes and Arabs might also have gripes about their representations….Don’t let any of that stop you and don’t apologise for your work. I am looking forward to seeing it in its entirety. You make nice pictures, no matter your politics (not that I’d know what they are). 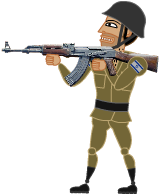 This may be a stupid question, but why not give the Israeli soldiers some Uzis (in the cartoon, I mean) ? This would probably be just as inaccurate as the AKs, but the Uzi is pretty much the iconic Israeli weapon, and would thus help to make the Israeli sprites look more distinctive. Currently, they just look like “generic soldiers with guns” to me. Why not go to Israel just for research? No one says you have to like it, or consider it your ‘home’ but didn’t you go to India to research ‘Sita’? You seem to be doing fine so far but it might help some of us Zionist nitpickers not pounce so easily. I visited Israel in 2008. I have several friends and colleagues in Israel. And to further clarify: I’m not a Zionist, but I’m not anti-Israel, either. The country is already there, and many people were born there through no decision of their own. It’s not my homeland, nor do I as a Jew feel a need for a Jewish homeland; but it is the real home of real Israelis. Regarding your answer to Chaim, I too consider myself a ‘Historical Zionist’ but I understand your position as well. A few years ago I helped out with a documentary for the Shoah project. The sweet old woman we interviewed was a Holocaust survivor and was raised as an anti-religious, anti-Zionist, communist in Poland. Her issues with Zionism was that it was an ideology that emphasized ‘going somewhere else’ and she felt that Jews should stay where they are and improve their lot, and the lot of others, no matter where the lived. It was an interesting point. I wanted to ask her if she still felt the same way after going through what she went through and moving to the US afterwards. Alas, I didn’t get to ask her. The biggest eye opener for me though was that I learned that there had never been, or almost never been, a consensus among the Jewish people about what the right course of action is for all of us. Like the “Judean people’s front” vs. “the People’s front of Judea”. I think that’s still true today and it’s probably one of the things that has kept us around for so long. Anyway, nice work! As they say in Israel Kol Ha Kavod! I don’t think the above suffices to depict you as the religious conservative’s worst nightmare. For that, you’d have to be a feminist. Representations of any violent people does not universalize their violence to other people with similar heritage/politics/beliefs/etc. If it did, nobody could ever talk about violent people without stereotyping. The Romans had a brutally violent empire, but there were pascifist Romans. The video could be tweaked for more accuracy, maybe without hindering understanding or impact. I think strictly focusing on the clothing or the weapons or the historical accuracy is discussing everything except the point. I just wanted to correct you on some error there, if you don’t mind. It’s not that Orthodox Jews don’t have to join the army, it’s just that as long as they stay at a Yeshiva, they have their draft delayed. Most of them just spend their whole lives there. And some of them are pretty Zionist. Zionism is the national movement of the Jewish people, Jewish national self-determination, that promoted the creation of a Jewish state in the land of Israel. It is based on the continuous existence of Jews in the land of Israel for the last 3600 years, historical ties and religious traditions linking the Jewish people to that Land. Zionism does not have a uniform ideology, but has evolved in a dialogue among a plethora of ideologies: General Zionism, Religious Zionism, Labor Zionism, Revisionist Zionism, Green Zionism, etc. The reason people tend to link Zionism only to the Left Labor Zionism is that because they were the leading force of Zionism in the Land of Israel from early 30s of the 20s century and the wide picture and films that brought the revival of the Jews in the Holy Land (Latin/British Palestine). People don’t know that Jews dwelled in that land since the destruction of the second temple and lived under at least 25 occupations. Jews always immigrated to Palestine, whether to live there or die. Before Zionism started, Jews came there by groups or alone from all parts of the world, not only from Europe, but North Africa and Asia too. Before Zionism there were some other Jewish movements that made “Aliya” the best known is “Hibat Zion” – Love of Zion and “Bilu” (“Beit Yaakov Lechu Venelcha” – “Therefore thou hast forsaken thy people the house of Jacob” – Isaiah 2, 5). Some fixing for your “Orthodox Jews” (Haredim) description – the Orthodox Jews are quite a large and fractional group of hard religious people who reject modernity and enlightened secular studies. But, one who looks inside that society see the variety, diversity and difference among them. But those who look inside their society see the variety, diversity and difference among them. Most of the Orthodox Jews in Israel are combined with the secular state and society, and there is a mutual influence and social interaction among most the groups on daily basis. You can see it in Israel as more and more “Haredi Jews” accept the state as a national expression and interpret differently their vision of the future coming of the messiah. More “Haredim” are going to work and join the army and later getting more involved in the building and strengthening Israel. Only small minority among the “Haredim” are Anti-Zionists, such as “Neturei Carta” (Wall Watchers) and “Toldot Aharon”(Ahron History). Even most of the last are not extremist as few of them shown in the TV/UTube kissing Ahmadinejad . Jews didn’t dwell in peace next to Arabs before the “vast influx of Jewish refugees from Europe”. Islam doesn’t let its believers to let non-Muslims to be independent on “Islamic soil” (as they say in Arabic – Dahr el-Islam – “Islam house/space”, where Muslims are the owners of the land and the others are – Kufar/Kafir (Infidels) subjected to the Muslim governor (Dhimmi). Jews in Europe said the same words as you do – “But I already had a homeland” – through the their long history there, but they always being persecuted by their gentile neighbors. The US is safe now, but who knows what will happen when Muslims and Nazi white people will take there the lead? One have to remember that those Anti-Semites chased Jews even when they didn’t see themselves as Jews or were descendants of third generation of one Jewish grandfather or grandmother. One can’t count on such lunatics; that’s why I think that each Jew should have warm link to Israel even he doesn’t regard himself as a Zionist. Israel, with all hers security difficulties, is yet a flourishing society, economy, industry, culture and openness. Israel is a safe shore for every persecuted Jew in the world. Jews still need a safe place for the dark seasons that might come; they need a “night shelter” to be protected from villains and racists. The holocaust made most of the Jews who survive to make “Aliya”. The Jews in Arab states, who also were chased by local Muslims, moved to Israel at the same period time. Thanks to Zionist project they came to already per-state organization that the Zionist movement created under the rule of the British occupier. If there wasn’t the Holocaust then more Jews were to come to Israel and sure Israel declaration of independent was announced 6 years earlier. The British are to be blame for not letting the Jews their rights to turn the “British Mandate” into the “state of Israel” as back to the 30s. Such a step sure would have cost less in Jews death toll or even preventing the holocaust itself. One has to remember that most states, including the US, didn’t let the Jews to escape Europe and enter their sovereign rule (only few Jewish scientists were allowed to enter the US for their own well known reasons, I suppose). You have a great mistake by drawing Israel in Ultra-Orthodox caricature. Judaism is a People-hood, Nationality defined by its belief, religion. Religious and Secular sects find the way to bridge and combined both. Even most of the Orthodox groups apply that description. Only few among the extreme religious Jews – the Ultra-Orthodox – still doesn’t want to accept reality that Jews can run their own business. They still are waiting for the Messiah to come and let his approval to assimilate into their Jewish brothers. The Wailing Wall was always the main destiny of each Jew who set steps in the Land of Israel back through all generations. It has nothing to do especially with Zionism. Jews were forbidden to enter the Wall’s platform most of the time and they had permitted by the Muslim or the British ruler to come in defined times only. The same was in the Cave of the Patriarchs in Hebron; there Jews had the right to step up only to the 7th step out of the building, most of the time they were band to enter the caves’ building. Zionism came to change those (and others) limitations and ultra-duties that were imposed on Jews just because they are Jews. Many Jews didn’t understand it prior to the holocaust, and they had preferred to sit on the on the “flesh pot” of exile and not to come to their land (“And the children of Israel said unto them, Would to God we had died by the hand of the LORD in the land of Egypt, when we sat by the flesh pots, and when we did eat bread to the full” – Exodus 16, 3). Sometimes those who sit on their “flesh pot” fail to see the risk and the dangerous atmosphere changed around them at proper time, until it’s too late to be rescued. Half of the Jews now are Israelis. Jews in Israel are well growing population, while around the world they are shrinking and decaying slowly, mainly by assimilation. That’s the fact. One can bless that phenomena and the other may mourn. It’s depend on how one see life on earth and how much one pays tributes to certain values, culture and believes (not only of religious values but freedom, behave, social and other values that well taught through Judaism) that define human existence. Many Israelis are not religious but most Israelis keep some religious acts and pay respect to religious values and behave – Many of the secular group are fasting in Yom Kippur, eat Matzos in Passover, circumcise their born boys, married and buried by a Rabbi ceremony and blessing. At the same time they work and drive a car on Shabbat, vote for non-religious parties, eating ham (relatively very few). One should understand that the situation is quite interesting, Complex and varies. You can’t see many guns (Sure not AK Kalashnikov; you better draw the new various Israeli rifles, Just search pictures “Israeli made rifles” and choose one) in the streets of Israel although each combatant soldier has a gun which he takes with him home at each vacation. So the picture of the kids and guns that you have put above is not symbolizing the character of the Israeli society, it is taken in Independence Day exhibition (France still have their own extravagance military parade in Champs-Elysees and that doesn’t make them militaristic). It is true that army and soldiers are much appreciated in Israel, but only because it is a necessity and it is not a value as it is in totalitarian and Islamic societies. The Israeli society, not only the Jews, is very open and energized society. No one is afraid to say everything and anything on the other. Arabs can talk and preach for the destruction of Israel and even participate in anti-Israel semi-military propaganda sails and sales, the way that no one in the US can do without being punished. By the way, the “Srulik” cartoon was published in ‘Maariv’ newspaper (www.nrg.co.il , No English version) since the 50th until early 80th and was made by a cartoonist called “Dosh”. He sometimes appeared carrying the “Uzi”. (Forgive me for my poor English, which is only my 3rd language in the line). First, let me say that I loved the animation. I’ve been eagerly waiting for another work of yours after Sita, and here it comes. However, as an Israeli, I have no choice but to despise the meaning of this video. I don’t care about guns or clothes, religious or not. These little details just show how little you know of the subject. The real issue with the video is that it gives a very specific interpretation to the modern history: namely, its basic and only meaning is “all these guys fight for the land that doesn’t really belong to any of them, and therefore they are all wrong”. a) Israelis really did fight for the land, but not anymore. This is consistent with the song you use in your soundtrack. b) Palestinians never fought for the land, they never cared about the land. Both are simple facts that lie on the surface, but I know that it can be hard to fully appreciate (b) for a person who was brought up in the Western spirit of humanism. So it’s no wonder you fell for this popular misconception. “But I already have a homeland,” said the Jews of Germay, Poland, Austria, Greece, Ukraine Lithuania, France, et al, before World War 2. If you can’t connect to or even appreciate the astonishing story of the rise from the ashes of the Jewish people after 2000 years of relentless persecution culminating in the greatest deliberate crime in the history of the planet from 1939 to 1945, then you are a narcissist of the highest order. The black-hatters want their Judaism to be perceived as the Judaism, and to that end they’ve largely been successful. The hat, coat, tallis and tzitzit are all part of the image of “Jewishness” that has been circulated throughout the media. It’s the first thing anyone thinks of. Keep up the good work, Nina, and I will keep spreading it around. Caught this video through a link elsewhere and I laughed out loud! Yes! In a rather irreverent and yet violent way (obviously) it gets the point across. The old argument that “we were here first” rings bloodily hollow. No different than calls I’ve heard from other people for “a return of THEIR lands” when in reality they murdered someone else to get it. Just how far back must one go to settle the issue or simply say, “It’s enough”? It would seem that common sense only lives for as long as the one who holds it. This may be one reason why it is harder for you to grasp the enormity of the Jewish dilemma when it comes to a passion for Justice and a desire to keep ourselves safe from pogroms. Its not easy walking this line. Historically I’m sure you are aware of how many times Jews have been persecuted for just not wanting to assimilate. No one should be force to merge into the collective. Freedom, remember. And when some wealthier Jews tried to assimilate, and poo-pooed their backwards peasant cousins, they were welcomed into the elitist class and became business men, Generals, etc. until… antisemitism raised its head again and they were stripped of their medals and money, and kicked and gassed; no matter how loyal they and their ancestors had been to the Fatherland. The undeniable truth is that there is always a welcoming and then a persecution of Jews… going far, far back. Right now, we enjoy protection and acceptance by the United States, but make no mistake about it… it can turn in a heartbeat. Don’t believe me? Just run by some tame remark about Jews having a right to live in Israel now, as a two State Nation across a Left wing group of friends (I am an unapologetic Socialist). Do this on Social media site so you can get their real thoughts on it. You will see their claws come out and eyes turn red. You will be hounded and cursed at. The hatred from the Left is weird to me. Many of them espouse peace even when dealing with Police abuse during OWS’s heyday. But there is a strong anti-Jew feeling there and it don’t matter how much you or your family try and blend in… you are a Jew. I think one reason is because they have to hate everything the Right wing supports, but that is another conversation. It is only a matter of time before they turn on us, again. Nina — you cannot change the meaning of Zionism just because you feel doing so. Your Wikipedia definition is correct: “Zionism is a form of nationalism of Jews and Jewish culture that supports a Jewish nation state in territory defined as the Land of Israel.” What is wrong is the assumption you seem to make that being Jew or being Zionist means having some association with the Jewish religion. That’s precisely the assumption rejected by Zionism: Being Jew means belonging to the Jewish nation; people of the Jewish nation happen, for historical reasons, to belong to the Jewish religion when they are religious, but that is not relevant to the Zionist movement. Zionism is a classical, 19th century nationalist movement: Jews are a nation and every nation is entitled to its own land and its own state. People can be Zionists and religious, Zionists and atheists, non Zionists and orthodox, non Zionists and agnostic. As you surely know, most Israeli are not religious, most of the settlers are not religious and most right-wing nationalists in Israel are not religious. The association of Zionism, i.e., Jewish nationalism, with religion is plain wrong. This association is wrong even from a pure U.S. viewpoint. The fact that synagogues and temples in the US have Israeli flags and encourage trips to Israel is accidental: It was not true before 1967, is less true now than a generation ago, and may not be true at all in a generation from now. The support of many American Jews to the state of Israel has nothing to do with Zionism. I am optimistic, Nina: You could have done the same cartoon about generations of wars between France and Germany or Greece and Turkey. At some point, these conflicts become meaningless and cease. What prevent the creation of two states in historical Israel/Palestine is not nationalism, Israeli or Palestinian, but a deep distrust by each side of the other. One only hear the extremist voices because the moderate voices have lost faith. A new confrontation may be unavoidable, but peace is also unavoidable. I just wanted to let you know that I love this video! LUUUV IT! I just wanted to tell you how much I Loved the Brits in it! COnsidering he totally looks like Graham Chapman when he used to dress up as a British Officer in Monty Python’s Flying Circus! Was this on purpose? OR was it a happy accident that he would have toally appricated if he lived today. Just wondering. Love your cartoon. Most favorite part: The hairy chest of the Israeli Soldier. I grew up in Israel and it is worth a visit but in the same way that China or Japan or Africa are worth a visit. Too bad so many people in the region are more intent on killing each other rather than actually enjoying this beautiful corner of the world. I just wanted to thank you for your animation “This Land is mine”. Someone linked it to the Brights Foundation. This tune has reached deeply into my childhood memories evoking a film called “Exodus”, from which it came. So evocative was the music that my childhood memories attributed to the sound the qualities of strength, fortitude, righteous struggle and justice. Music is powerful. The details of the song and the film have been long forgotten but their affect on a young mind was staggering. I recall that as a teenager I watched the Arab/Israeli war circa 1974, and was fully in support of the Jewish struggle. I attribute that to seeing the film. Now older and wiser I realise now that I have been played like a dupe; the propaganda had worked. At some time in my childhood I had seen the film on TV, and the seed of Zionism had been sown, and in sympathy for the holocaust, and the struggle for a homeland had found a fertile and agreeable mind. As a life long student of history I now regard the claim to Palestine by the Jews as false; their treatment of Arabs as a damn disgrace and the future for every one in the region as bleak with no hope of peace whilst religion has it stranglehold on people’s minds; whilst politicians manipulate belief and denigrate their fellow humans. The basis of the claim is due to the imperialistic arrogance of the British, and the mystical claims of religion. There are no natural rights to land. There are people that offer some hope, but their voices are drowned in the tumult of hate and suffering. Daniel Barenboim is one and simply asked what is the difference between a secular jew and a secular arab? When people ask this question seriously and find that the answer is empty, only then can people accept each other. “critics do have a point when they say the Orthodox Jews in Israel get others to do their shooting for them” – you are a complete idiot, aren’t you? Have you read Sfar’s “Le chat du rabbin”? The idea that Zionism is where all Jews should move to is a narrow view. Wikipedia is not exactly right on that. I don’t advocate placing all jews in a tiny place that can more easily be destroyed. The diaspora has preserved the Jewish people. Think of it as investment diversification as applied to cultural identity. But the horrors of the holocaust in WWII is what led to the creation of the state of Israel. Why? So Jews cannot be massacred again without a recourse to immigrate to a country guarenteed to accept them. Britain and the US turned away boats of concentration camp survivors, only to be put back behind barbed wire and marched to the ovens. The migrations of French Jews to Israel now is testament to the need for a state of Israel as a haven for persecuted jews. Because there are those that will persecute you for being of Jewish ancestry, even though you have gladly assimilated. I too am largely assimilated. But recall many German Jews in WWI earned the Iron Cross for bravery in battle. Only to be trained to the camps only 20 years later. What did you bring from The Settlers? It doesn’t appear on my screen. But isn’t it amazing how Jews always returned to the Land of Israel, despite everything, including fellow Jews who refuse to acknowledge Jewish national identity?